Ready or not, here comes Holy Week. For several weeks we have been trying to tell you to prepare yourself, but now it’s “crunch time” and you must find your personal strength and willpower to follow Jesus, up close and personal. 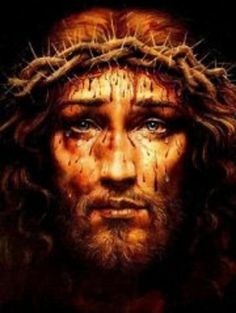 Ultimately, there is no poverty that can compare with that of the Man of Sorrows dying on His cross. He is totally dispossessed and totally dependent upon His Father. Christian asceticism and meditation, personal prayer and sacrifice, all part of the season of Lent, are focused with specific intensity on this during Holy Week. I hope you can take some time to join us in your local church or at the Cathedral for Palm Sunday Mass, the Evening Mass of the Lord’s Supper on Holy Thursday, or the Liturgy of the Lord’s Passion on Good Friday. Perhaps you might really want to experience the glorious Liturgy of the Church as She celebrates the Mother of all Vigils—the Easter Vigil—on Holy Saturday night. No matter what—no matter how—please know that you are welcome to celebrate the central mystery of our Faith—the Resurrection of the Lord—on Easter Sunday. We all need to do this because we are all a little like that thief on the cross next to Jesus—we all want Him to remember us. We all want to get to heaven. Jesus has made that possible. Come celebrate Easter joy and be filled with the utter fullness of Christ! This entry was posted in Uncategorized on April 11, 2014 by dioceseoflacrosse. On the Feast of Saint Francis of Assisi in 1991, I discovered that my mom was going to be allowed to move into the Helen Kellogg Home of the Little Sisters of the Poor in Chicago (www.littlesistersofthepoor.org). The story is quite miraculous and every day that followed thereafter only made me become more and more of a true believer in the amazing generosity and Providence of God. Last Tuesday night, I had the wonderful opportunity to celebrate the Holy Mass with the residents and the Little Sisters at the same home in Chicago. There are very few people in the entire world whom I respect more than these hard working, faithful and holy women. After the Mass, I visited with some of the residents including two members of my own Religious Community, Brothers Raphael and Regis, both in their nineties. The evening concluded with a fantastic simple supper of broccoli cheese soup, pizza, and a tasty gelato. It was a tremendous evening of prayer, fun, and sharing. These days, as many people know, there is a genuine “David and Goliath” story playing out with the Little Sisters and the contraceptive mandate of the Affordable Care Act. I spoke about this with the Sisters as we enjoyed our pizza. It is astonishing for so many of us who know the Little Sisters to think about their involvement in this national controversy. The Little Sisters are being represented in the fray by the Becket Fund for Religious Liberty, (www.becketfund.org) a public interest law firm, in a pending class-action federal lawsuit that includes almost 500 other Catholic nonprofit organizations that receive health benefits through the Christian Brothers Employee Benefit Trust and Christian Brothers Services. On 24 January the Supreme Court granted the Little Sisters and their fellow plaintiffs an injunction, which temporarily shields them from compliance with the contraceptive mandate while they prepare their case before the 10th Circuit Court of Appeals in Denver. The Affordable Care Act of 2010 authorized the U.S. Department of Health and Human Services to mandate that employer-provided health-insurance plans cover contraceptives, abortifiacient “morning-after pills” and sterilization, without deductibles or co-pays. Neither the Sisters nor any other Catholic institution can provide such coverage due to the expressed teachings of the Church regarding contraception. The government has simply told them to sign a waiver that would allow their insurance company to provide coverage. That, of course, is unacceptable as well, since the Sisters’ insurance agent, the Christian Brothers, is another Catholic agency. At issue is the religious liberty of the Sisters provided by the First Amendment of the Constitution. The issue will be resolved most probably by the end of June this year. This leads to an announcement concerning the third Fortnight for Freedom (www.fortnight4freedom.org) that will engage patriots from across the country to rally once again for the sake of liberty and the basic support of first amendment protections for all Americans. The Fortnight will take place again this year from 21 June to 4 July and will set the Freedom to Serve as the basic theme. The Diocesan Office for Social Concerns (www.dioceseoflacrosse.com/freedom) will promote the Fortnight with further information and news as we draw closer to the summer. I invite you to continue to stand with me in prayer as we beseech the Lord and His Blessed Mother to assist in this most profound endeavor. I invite you to add these intentions to your prayers at Sunday Mass. Blessed Lent! This entry was posted in Uncategorized on April 3, 2014 by dioceseoflacrosse.